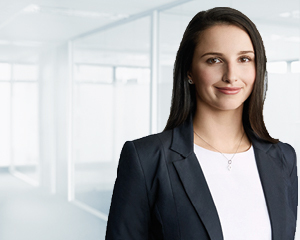 Based in Sydney, but supporting both Brisbane and Sydney clients, Jessica Surlan is an executive wealth adviser at Dixon Advisory who understands that forming a personal connection with her clients is crucial to fully understanding their financial objectives and life stage. “I place particular importance on mitigating sequencing risk, and ensuring my clients are well positioned in case of a market downturn close to their planned retirement age. Continual discussions around forward planning and ongoing objectives allows us to ensure we have put the necessary structures in place to make sure we are in the best position possible", Jessica said. In addition to fostering close client relationships, Jessica believes it is important to enhance her clients’ understanding of financial markets, to determine the optimal individual strategy for them. ‘The dynamic nature of financial markets means that frequent contact is crucial in ensuring clients remain confident and comfortable with our agreed long-term strategy’. This deep level of engagement allows Jessica to keep clients informed on Investment Committee views and market movements. Jessica holds a Bachelor of Commerce with majors in Finance and International Business from the University of Sydney. She has completed a Diploma in Financial Planning from Kaplan Professional Australia and attained accreditation by the Stockbrokers Association of Australia to provide advice on securities and managed investments.